I would like to take this opportunity to recommend the writing of GENE WHITE. In my college position I had the opportunity to use his expertise on many, many occasions. Gene wrote for and truly understands all combinations of instruments and voices; ours was for brass choir and jazz bands. He wrote "outstanding" charts for us that were used for over 20 years (both arrangements and original charts). Audiences loved his "sounds." I can only give him my highest recommendation!! 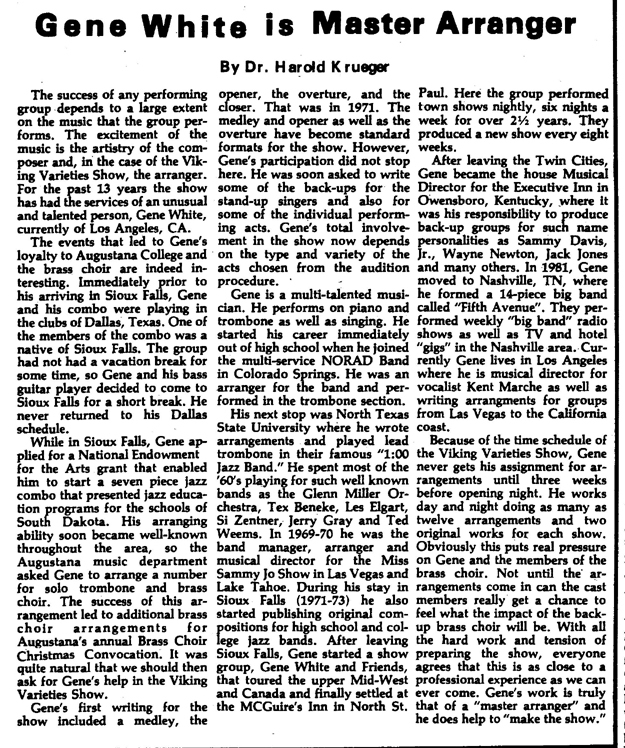 Gene is proud to be a part of educating students thru his arranging, clinics and concerts for colleges & high school bands. 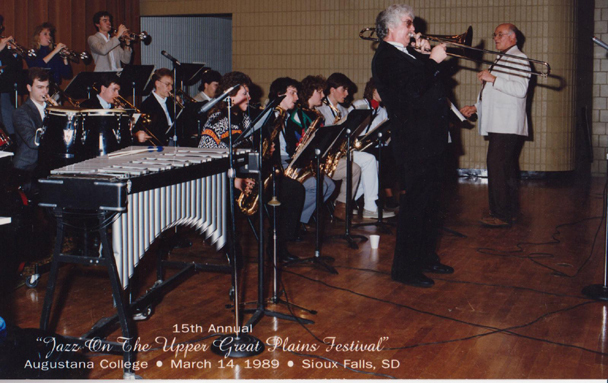 From 1971 through 1993 Gene wrote 163 musical arrangements and 17 original charts for Augustana College Department of Music in Sioux Falls, South Dakota. This included works for Concert Band, Marching Band, Brass Choir, and even Madrigal Singers. 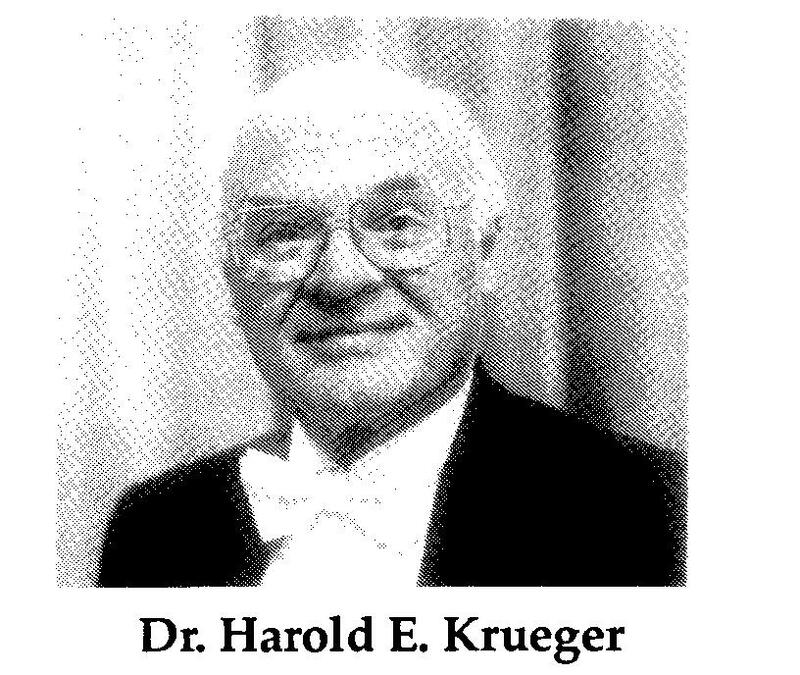 At the time the Augustana Brass Choir was under the direction of Brass and Jazz Instructor Dr. Harold Krueger. Click Below For Audio Exerpts of 3 original songs written & arranged by Gene White and performed by the Augustana College Brass Choir.